If you’ve been diagnosed with Castleman disease, it helps to understand what to expect while you’re living with it and the best ways to take care of your health. That way, you can better manage your condition and daily activities. Here are seven strategies to try. Clear and honest communication between you and your doctor ensures better health care and better living. Remember: You are an important part of your care team. Never be afraid to call your doctor’s office to ask questions about your treatments, side effects, or other health concerns. Ask your primary care doc which specific specialists you will need to see. You may need to consult with several, including a surgeon, a hematologist (doctor who treats blood and lymph system disorders), a medical oncologist (a cancer specialist), and a radiation oncologist (a doctor who treats diseases with radiation). Castleman disease can affect one or many parts of the body. It is important to get treated right away. If you don’t, your immune system could get weaker over time, which raises your odds for serious, life-threatening infections. Stay in control of your disease by always taking medications as directed by your doctor. If one isn’t working for you or causes side effects that are hard to deal with, talk to your doctor about options. Castleman disease that affects just one part of the body (called unicentric) can often be cured with surgery. But multicentric Castleman disease, which affects many parts of the body, can be harder to treat and may not go away. If you have this type, you may need to take medicine for the rest of your life. Ask your doctor how often you will need treatment, how long a single treatment lasts, and where you’ll get it. Some treatments can be taken at home. For others, you’ll have to go to a medical center or hospital to get an IV. Keep a symptom diary and bring it to every doctor’s appointment. Fatigue, fever, night sweats, and loss of appetite are common symptoms of multicentric Castleman disease (MCD). But they can also be a sign of certain cancers. Some people with widespread Castleman disease eventually get cancer of the lymph nodes (lymphoma) or in cells lining the lymph nodes or blood vessels (called Kaposi's sarcoma). So it’s important to know what’s normal for your disease and what’s not. Your doctor can tell you the specific warning signs to watch for. Always report a sudden flare in symptoms to your doctor. A flare doesn’t necessarily mean you have cancer. It may just mean the disease has come back, which is common for people with MCD. Castleman disease is rare, so scientists are still learning about treatments that work -- or don’t. Clinical trials may be a good option for you if other treatments haven’t helped. A trial could let you try experimental treatments that might control your disease or help you feel better. You can search for one at www.clinicaltrials.gov. Castleman disease doesn’t always make you look sick. People may not know you don’t feel well. Talk to your loved ones about your disease and your treatment so they can better understand your journey and support you along the way. 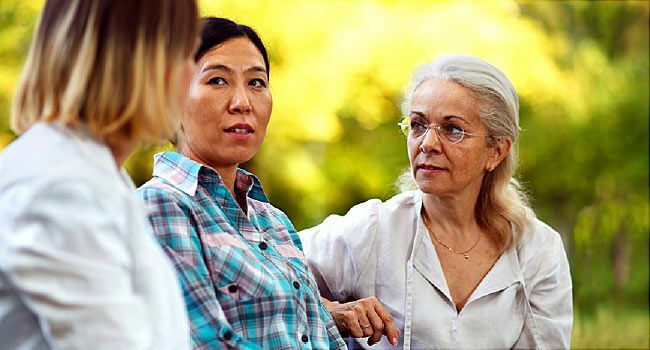 You may find it helpful to join a support group, where you can talk to others who know about the disease and understand what you’re going through. RareConnect Castleman Disease Community is a joint project of the European Organisation for Rare Diseases (EURORDIS) and the National Organization for Rare Disorders (NORD) that lets people with Castleman disease interact with and learn from their peers and medical experts.